The rules based methods by which we gauge risk in financial crimes are neither effective nor efficient. As a result, the industry drowns in false positives, routinely incurs fines that reach into the hundreds of millions of dollars and throws humans at problems for which they are ill-suited. The solution lies in more intelligence. More precisely, a suite of applications that interact with existing financial crimes systems to dramatically enhance their performance. A suite of applications that co-optimizes for efficient operations and highly effective controls. A suite of applications that provide superior utility as independent applications but extraordinary results when used in combination with each other. This suite of applications – for segmentation, behavior change and alert disposition serve as the foundation of Ayasdi’s AML strategy. Each application draws on Ayasdi’s powerful analytical engine and delivers exceptional performance by leveraging unsupervised learning to power superior prediction. We invite you to explore and understand these applications individually and to reach out to understand what they can do in concert with each other. Learn how actual risk is both achievable and optimal today. In most AML processes, subject matter experts make the determination of the rules or scenarios around what should trigger an investigation. Ayasdi’s technology automatically assembles self-similar groups of customers and customers-of-customers. This allows the bank’s subject matter experts to tune the thresholds within each scenario but from a principled starting point. Because Ayasdi creates superior groupings through discovery, predictions off these grouping are highly accurate. This provides enhanced resolution for the investigative teams as they manage the delicate balance between signal and noise. 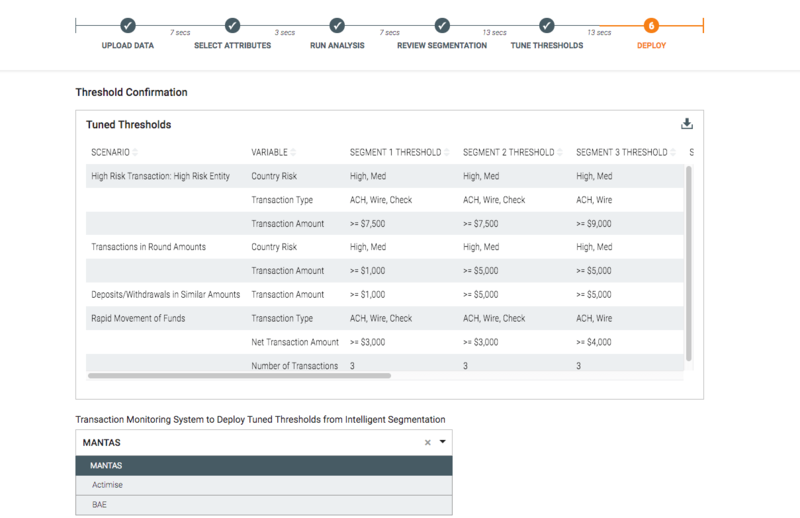 A critical, often overlooked step, in AML workflows is the ability to explain what has driven the creation of these groups and the optimization of thresholds within the scenarios. 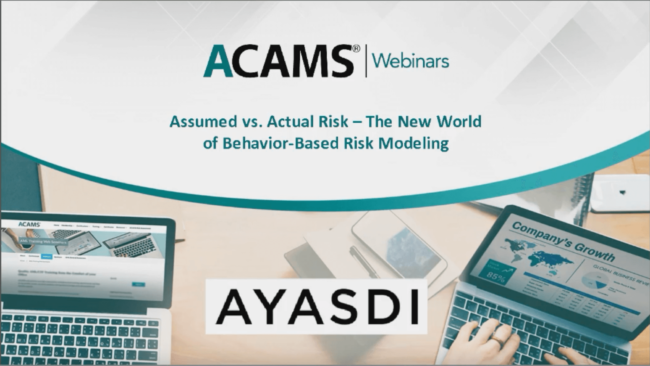 Aysadi provides complete transparency into what is driving the segmentation and the ranking and produces the complete documentation workflow including simple decision trees that can be shared with internal model governance boards and external regulators. Ayasdi’s AML solution operates in the bank’s standard workflow producing ranked lists to the investigative team or into the appropriate downstream applications. Pushing intelligence to the subject matter experts results in fewer false positives and more caught launderers. Ayasdi’s AML solution is constantly looking at newly arriving data, identifying changing patterns and suggesting updates to segments and rankings based on that information. As a result, subtle patterns suggesting emergent behavior is identified for the subject matter experts to consider.